A luxurious clutch wallet made from super soft 100% Leather. Has a secure carry handle which is removeable. Externally, there is a unique contrast credit card slot to the front and a larger slot to the rear. Two zip compartments of which the main has a central sewn in zip pocket. 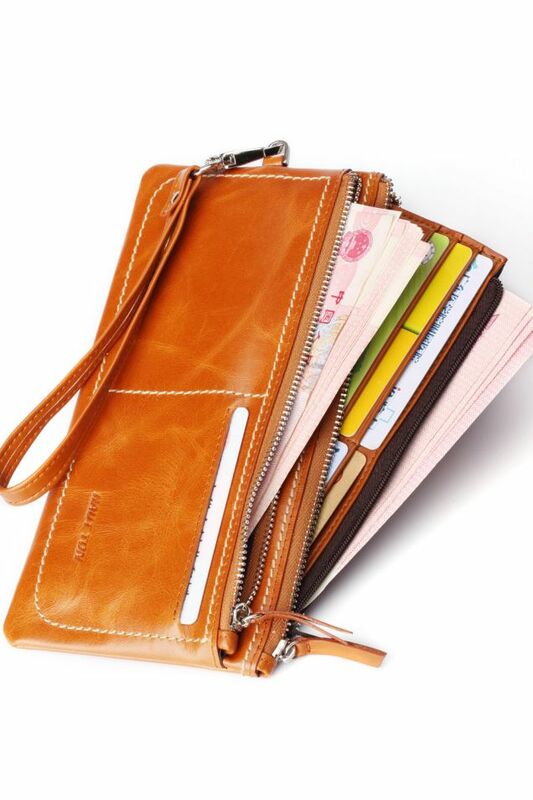 To the external of the pocket there is no less than 12 credit card slots attached. To either side one can store money for easy access. The second zip compartment is spacious enough to store essential documents. All in all a very unique cluctch wallet. Size 20.0cms x 10.0cms x 1.5cms.